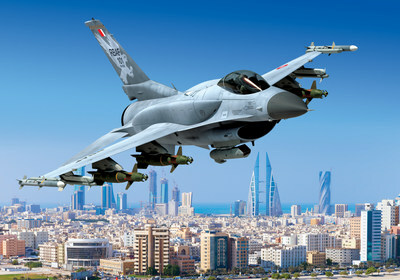 FORT WORTH, Texas, June 25, 2018 /PRNewswire/ -- Lockheed Martin (NYSE: LMT) received a $1.12 billion contract from the U.S. government to produce 16 new F-16 Block 70 aircraft for the Royal Bahraini Air Force. The Undefinitized Contract Action award represents the first F-16 Block 70 sale and the first F-16 production program to be performed in Greenville, South Carolina. The combat-proven F-16 continues to prove itself as the world's most successful, combat-proven multi-role fighter. To date, 4,604 F-16s have been procured by 28 customers around the world. Approximately 3,000 operational F-16s are flying today with 25 leading air forces, including the U.S. Air Force.